The results of UI GreenMetric World Universities Ranking was published by the University of Indonesia. The website structure was completely redesigned in accordance with the needs and features of the target English-speaking audience. Over one year Tomsk Polytechnic University advanced by 10 spots and entered the top 40, taking 39th position. Tomsk Polytechnic University enters the 501-600 band having advanced in research and international outlook. 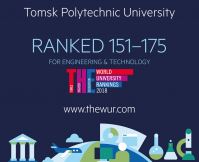 In the reputation ranking of Russian universities, Tomsk Polytechnic University ranks fifth in Engineering, Natural Sciences and Exact Sciences and second place in Engineering and Technology. 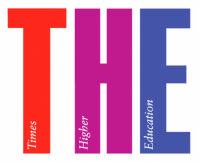 For the first time, TPU joined the top 3 best universities of the official Times Higher Education ranking. In the THE International Student Table 2018 which is a global list of 200 universities with the most international students TPU takes third place in Russia. Tomsk Polytechnic University takes the 21st place. Among Russian universities, TPU takes the fourth place keeping the status of the best nonmetropolitan university.